It is finally February, and that means, it is the month of love. Every year, we must brainstorm to try and come up with the perfect Valentine’s Day gift, and often, we end up opting for the usual flowers, chocolate, etc. There are various ways to pamper the lady in your life, however, this year we have some great suggestions to surprise your loved one with something a little bit different. Whether it’s for your girlfriend, wife, mom, sister, or friend, check out these amazing Valentine’s gift ideas that are all available at our First Eye Care North Arlington vision center. Here at First Eye Care North Arlington, we offer a large selection of prescription eyeglasses and reading glasses. We know that trends can come and go, so this year you can grab your loved one a pair of the newest pair of glasses that they will love. Sunglasses are not only very important for protecting your eyes from harmful UV rays, but they are a wonderful fashion accessory. We offer a great selection of sunglasses, including designer wear and prescription sunglasses. Bring your loved one in this Valentine’s day to pick out their favorite pair. Eyelash extensions in Arlington have become immensely popular over the last few years, and they are quite a desirable trend. Eyelash extensions give the appearance of long and full eyelashes. They look natural, are comfortable, and save the woman in your life a lot of time when it comes to their morning makeup routine. Microblading is another aesthetic trend that has become quite popular over the last few years. This technique creates for natural-looking full and shaped eyebrows. Microblading is a form of tattooing, so it is semi-permanent (as it can fade over the years). It is completed in a natural and artistic manner to create the perfect brows with small hairlike strokes. Give your loved one the gift of full eyebrows with this unique Valentine’s Day gift. ThermiEyes is a treatment that uses ThermiRF technology to take off the years. It is a simple procedure that reduces wrinkles, dark circles, and fine lines in a matter of minutes. Give your loved one the special gift of brighter eyes this Valentine’s Day with ThermiEyes. 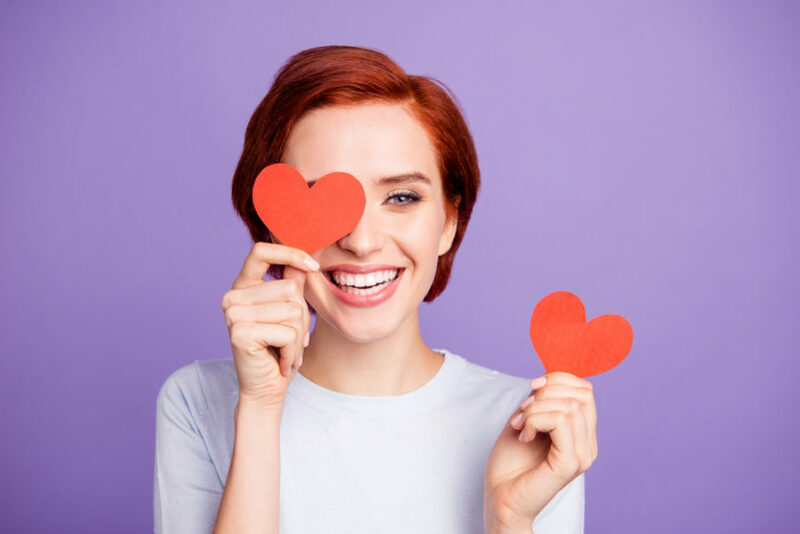 First Eye Care is a highly-recommended eye clinic in Arlington as well as an all-around vision center, and with our new aesthetic additions, we want to help you make your loved one’s Valentine’s Day extra special this year. For any questions or to schedule an appointment, please don’t hesitate to contact us today.